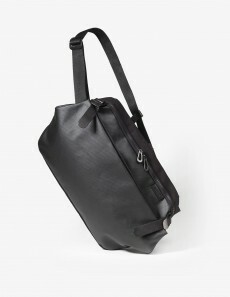 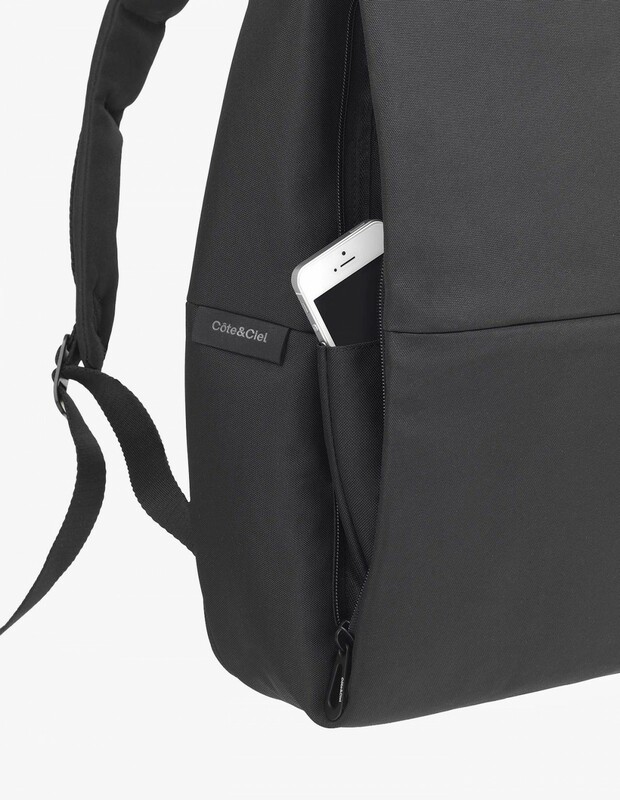 The Rhine Flat Backpack from Côte & Ciel is your lightweight travel option. 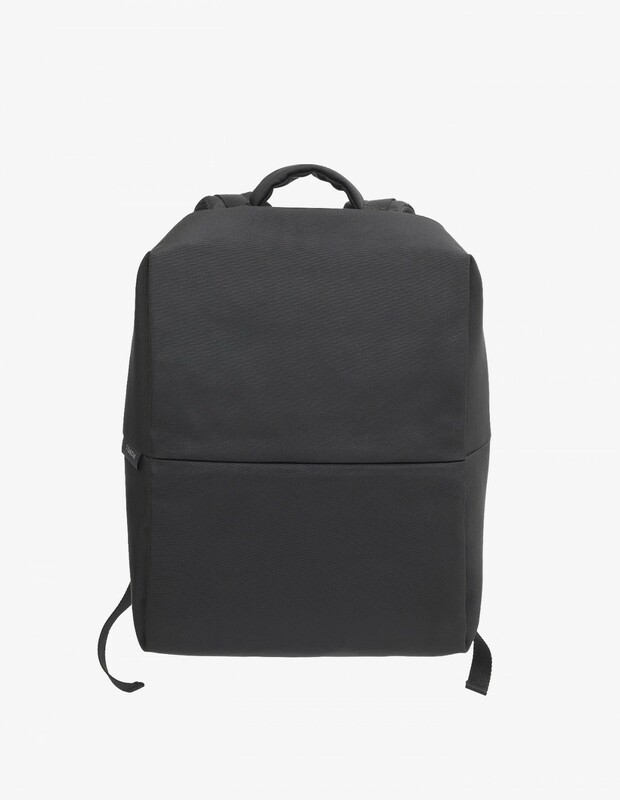 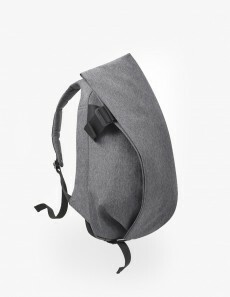 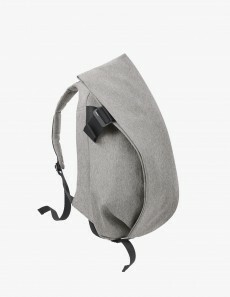 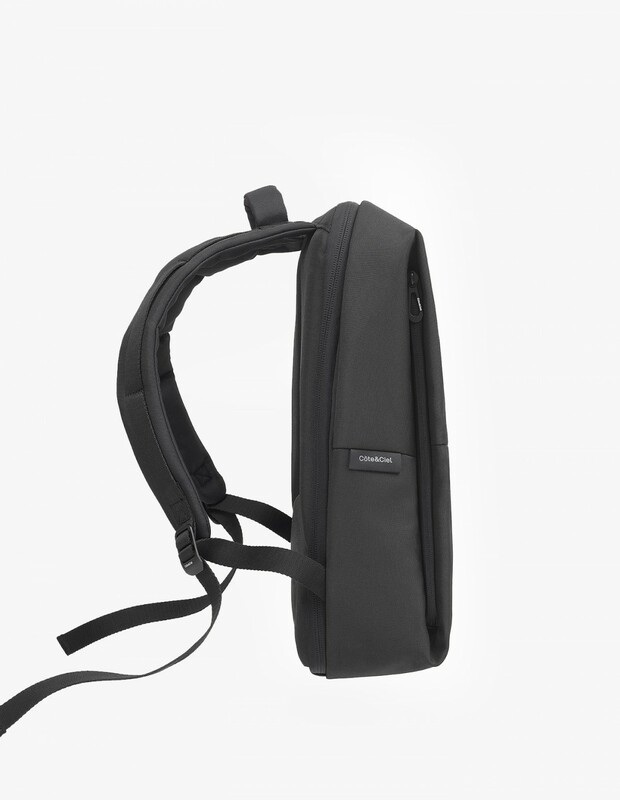 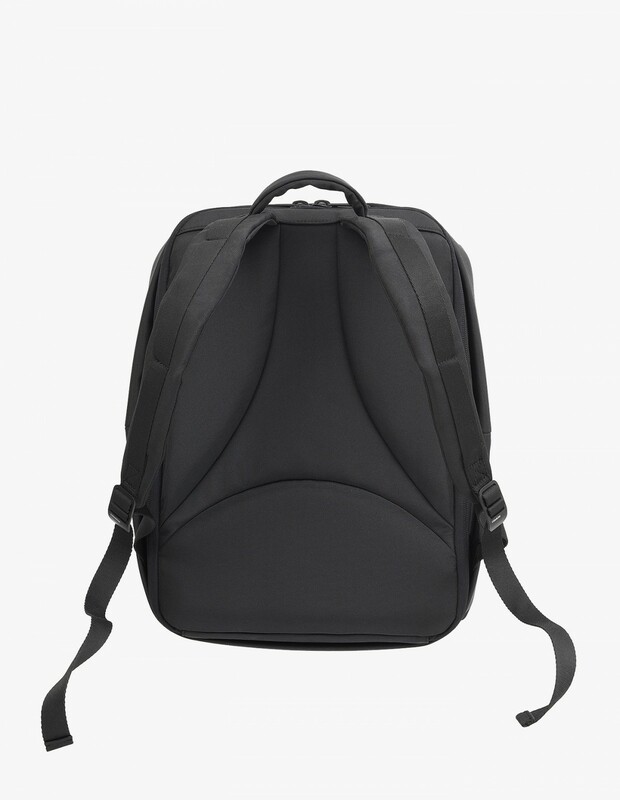 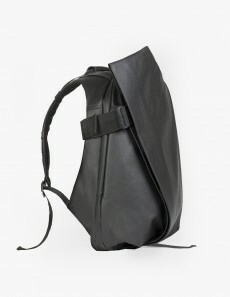 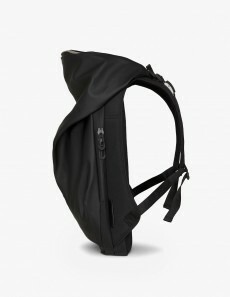 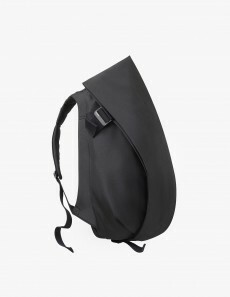 The backpack is made from water repellant black eco yarn. 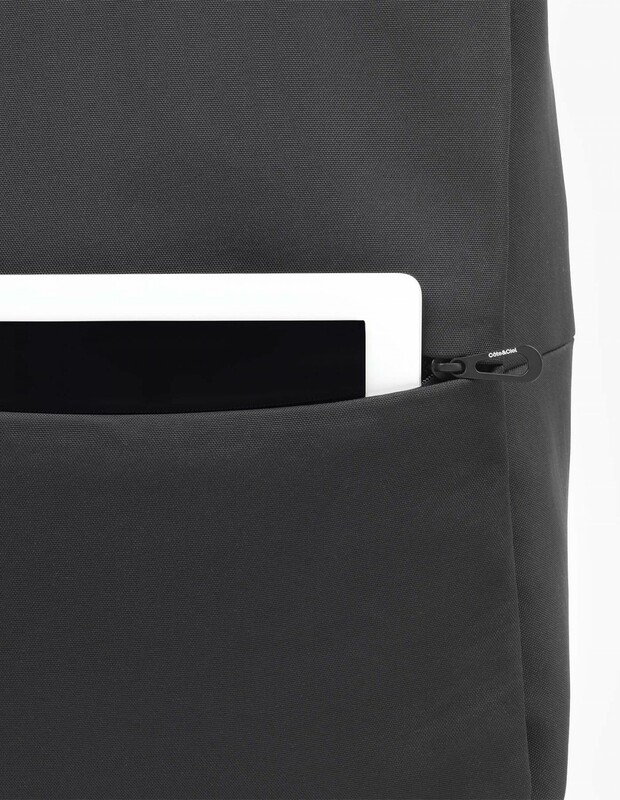 Despite its slim size and clean lines there is no compromise for volume. 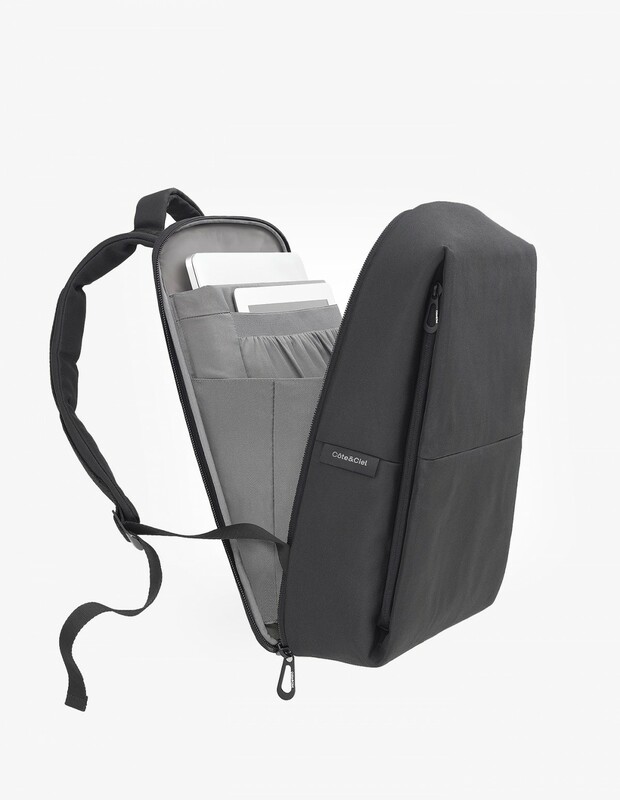 Equipped with a wrap zipper closure, adjustable shoulder straps, padded laptop compartment for up to a 15" laptop and iPad, internal divider and external zip pockets.